The Expendables 2 trailer has been released by Lionsgate. You can now watch The Expendable 2 official trailer online from here. In The Expendable 2 trailer starts with Sylvester Stallone, Bruce Wills. The extra attraction of The Expendable 2 movie is Arnold Schwarzenegger which adds extra action features on this action type film. The Expendable 2 movie starring with Barney Ross (Sylvester Stallone), Yin Yang (Jet Li), Toll Road (Randy Couture), Gunnar Jensen (Dolph Lundgren), Lee Christmas (Jason Statham), and Hale Caesar (Terry Crews). It also includes new actors Billy the Kid (Liam Hemsworth), Arnold Schwarzenegger and Maggie (Nan Yu). 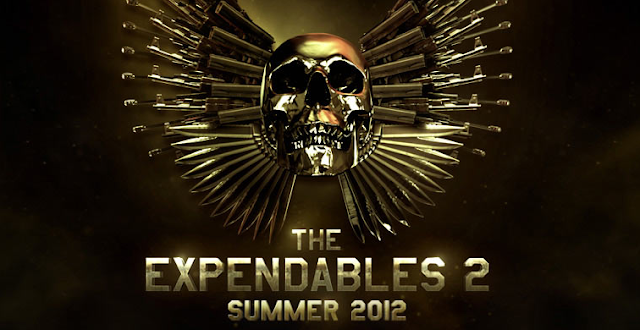 The Expendable 2 will hit in the theaters on next summer August 17th, 2012. Simon West is the director of this film.